Help chimney sweepers get to the Grand Cathedral! Take a control of Dark Train with our beloved Ann 2.35f 💙 Please, be kind to her she is the mechanical squid! 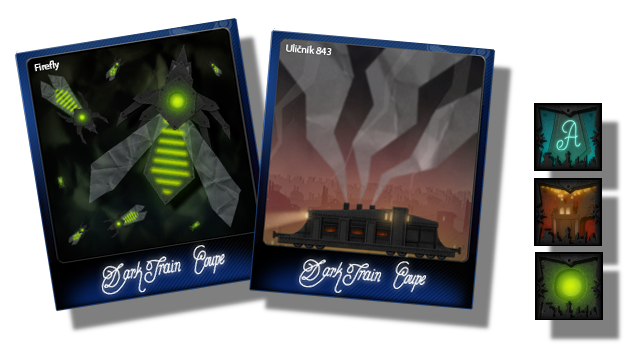 As the name of our second game suggest, Dark Train: Coupe (DTC) is closely related to its predecessor Dark Train (2016) - logical atmospheric adventure in which the story is conveyed without use of any words. DTC is the other extreme. Its story is narrated mainly with words and sentences. You can argue that it is more of a digital gamebook and/or sophisticated visual novel rather then skill based logical adventure as Dark Train was. And you would be right. We decided to tell a story of Dark Train (2016) purely without any text just with atmosphere, symbolism and non-textual narrative tools. 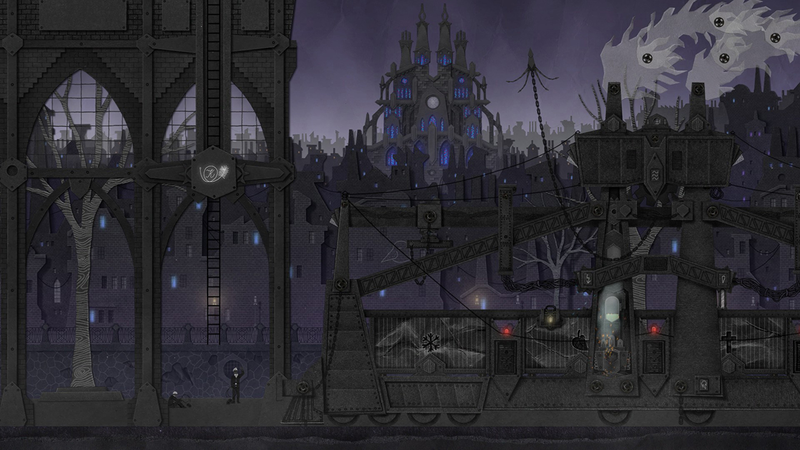 It was a design challenge for sure, but we persisted and the game was critically acclaimed for its atmosphere, enigmatic nature and its unique visuals (DT won Czech Game Award 2016). Now, our design intention is completely different. When you begin your journey, there is no way to turn back or stop the train. Travel through the city, learn about the Dark Train world, explore the mythology of The Border City and the ways of existence of its people. What is Dark Train (2016)? Is Dark Train: Coupe a standalone game? Do I need to finish Dark Train (2016) first to enjoy Dark Train: Coupe? What are the key game mechanics? Everything comes down to the dialogue. The key game mechanic is a dialogue choice. Of course by carefully choosing answers and questions you will soon discover there is a lot of hidden story arcs that can be experienced only in certain situations. Even though it is a simple game mechanic, it doesn’t constrain us in designing broader gameplay systems (collecting, exploring, replayability, achievements, easter eggs, timing, risk vs reward decisions…). Are Dark Train (2016) and Dark Train: Coupe (Q4 2017) simmilar games? Not in gameplay, YES in lore. This is one of games that should pass greenlight. good luck! that's interesting ! it's a yes ! Hell! It's gorgeous and interesting! Upvoted too. I like the look of this a lot. Upvoted!